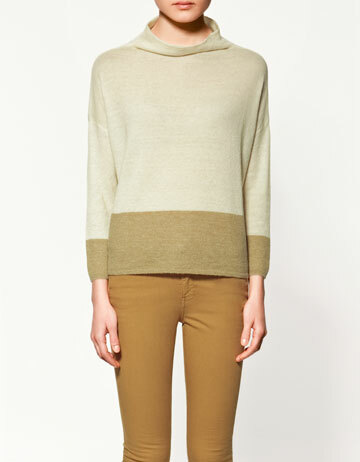 This colorblock sweater from Vince retails for $285 at Neiman Marcus. If you love the style of the Vince colorblock sweater, Zara has a great look 4 less (minus the turtleneck) which retails for $79.90. I'm loving the fact that Zara has an online store now!! Click HERE to purchase. love the sweater find! and loving your new layout! im wanting revamp my blog too. who did yours?